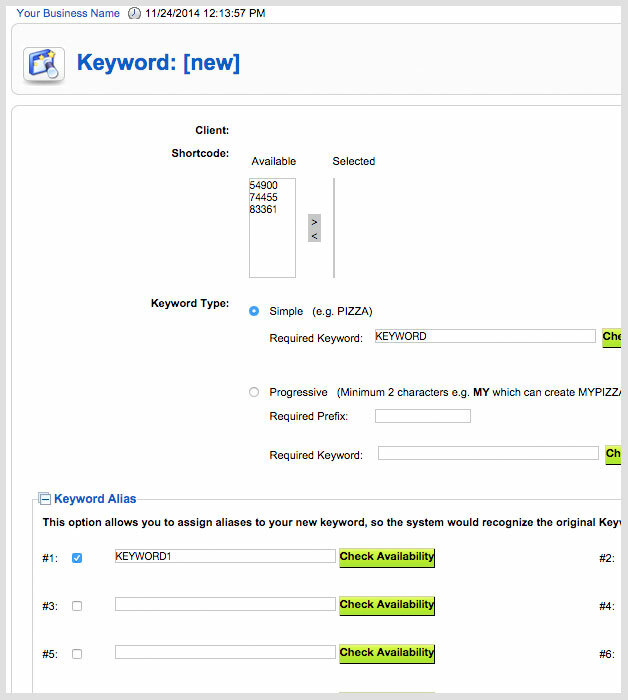 Keyword aliases allow you to create additional keywords that will trigger your services in the same manner as your main keyword. This can be extremely useful in cases where your keyword may be mis-spelled. For example, if you own a Hot Wings business and do a text poll asking if your customers like Bleu Cheese or Ranch, one of your keywords may be “BleuCheese” – For which you could add an alias of “BlueCheese” and both will work properly.